Hundreds of millions of people will see Hardwick Clothes menswear on TV during this year's summer Olympic Games. Officials with NBC Olympics, a division of the NBC Sports Group, are announcing today the Cleveland-based suit maker will provide wardrobes for on-air broadcast talent during the two-week international athletic competition taking place in Rio de Janeiro, Brazil, in August. 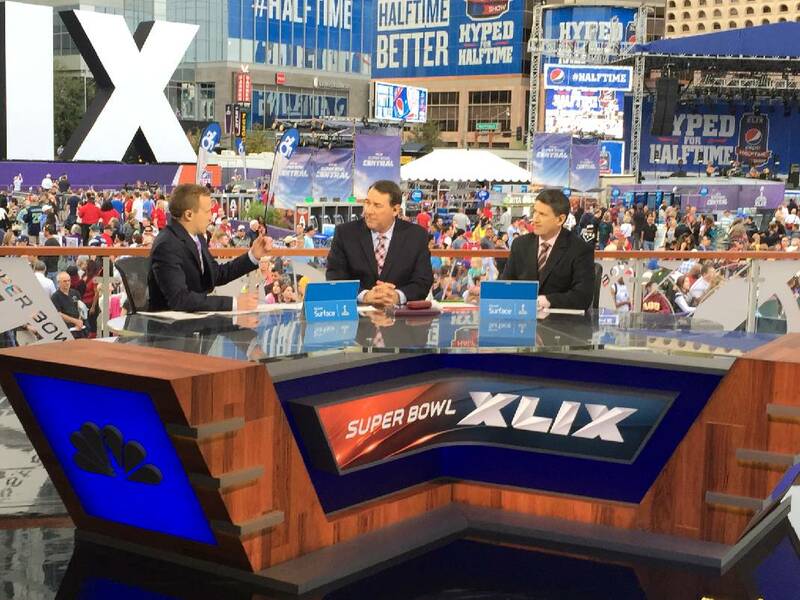 Hardwick provides its clothing at no cost to NBC, and in return will receive credit at the end of broadcasts. Amy Acton, NBC Olympics' stylist, said Wednesday the talent at Hardwick and the company's up-and-comer status in the American tailor-made industry led her to choose them for the job. "I try to look for brands who think it would be a good fit, and who would appreciate the chance and who would make the most of it," she said. Acton knows Jake Cremer, director of brand and digital strategy at Hardwick, from Cremer's days at Chicago suit maker Hart Schaffner and Marx, and she said the two have put a lot of time and effort into landing the deal for this year's Olympics. "Jake and I have been working on this for about two years," said Acton. "Before the [ongoing] games end, we're already working on the new games." Hardwick will supply five to seven suits for every on-air male broadcaster during this year's Olympic Games, and "we want every night to look different," said Acton. "We try to keep it fresh." When the summer games begin on Aug. 5, Brazil will still be in its winter season, and that adds the challenge of dressing NBC talent to give the illusion of summer, while actually keeping them warm, said Acton. "We also have to take into effect it's live TV, and at any moment, anything can happen," she said. Hardwick has previously outfitted NBC Sports broadcasters during golf, NHL hockey and NFL football telecasts. "We're developing a track record now and really proving ourselves within American manufacturing and the tailored world," said Cremer. He said the Olympics contract is a mark of Hardwick's maturing brand. "It does signify a tremendous amount of credibility for the product," he said. The Olympics deal comes only two years after Hardwick was purchased by Cleveland millionaire Allan Jones in bankruptcy court, and put on an aggressive trajectory of reinvention. Most of the existing executive team at Hardwick have only been in place for two years, including Cremer and current president Bruce Bellusci, who, like Cremer, formerly worked for Hart Schaffner and Marx. Bellusci said Hardwick is now at 315 employees at its Old Tasso Road plant, up more than 100 from when he first arrived. The plant has also been retrofitted with $2.5 million worth of new manufacturing machinery, and has invested in new types of high-end fabrics, linings and buttons — not to mention top industry talent and training. "This is a very heavily front-loaded business," said Bellusci. The New York native said production capacity and profitability still aren't where he would like them, but he is happy with what's been done in such a short time. He said from the beginning, current Hardwick officials have believed it would take about three years to get where they want to be. "Is it fast enough? It's never fast enough as far as what we need it to be," Bellusci said. "It's a slow process, and that's natural with this business." However, "we're pleased with where our progress is," he said. "We're over the hump of all the big learning curves." Bellusci, like Cremer, knows the Olympic Games contract can widen exposure of the Hardwick name and brand, and foster interest from folks who maybe have never heard of the Cleveland company. "Think about it. You know Ralph Lauren, you know NIKE, you know McDonald's and you know Apple because they're great brands and they've been around," he said. "Now they'll be saying, 'Who the heck is that? Who is Hardwick?'" Four years ago, more than 219 million viewers tuned in to watch the summer games in London, which were also broadcast by NBC. Those games averaged 31 million viewers over 17 nights. And prior to that, 215 million viewers tuned in to watch the Beijing games in 2008. "It's just great partnerships, and it's going to give us such great exposure on a national and international scale," said Bellusci on Wednesday. "You really can't buy that kind of exposure." 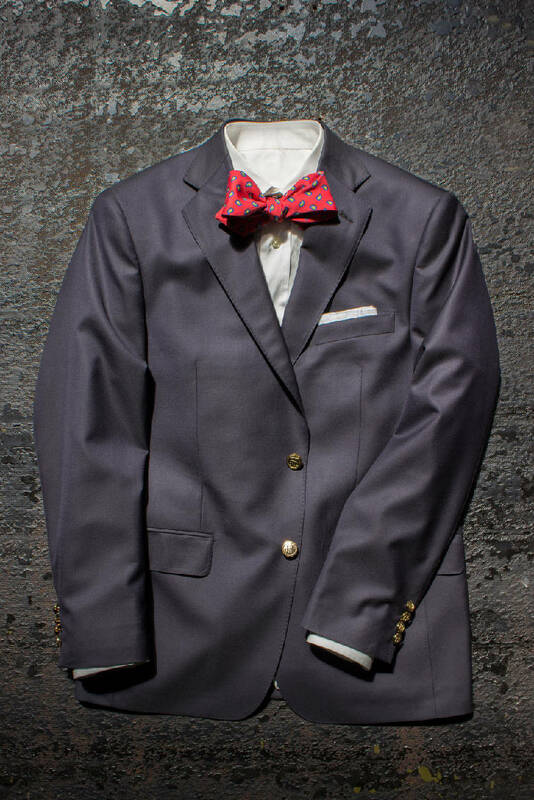 The blazers and suits NBC talent will wear during this year's games are available for purchase at local retailers like Yacoubian Tailors and Bruce Baird and Co. in Chattanooga, and Town Squire in Cleveland.